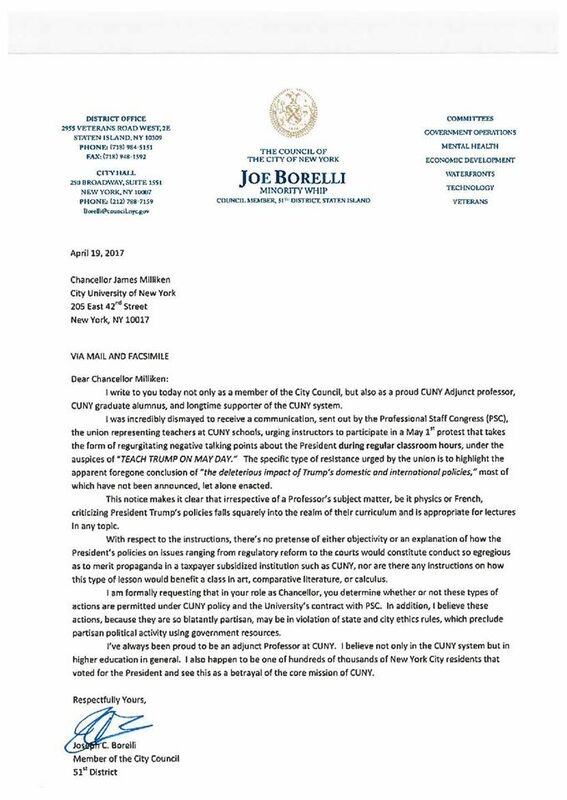 New York – CUNY Professor, Joe Borelli took to his social media to express how appalled he was that the CUNY teachers union instructed members to teach anti-Trump and anti-Trump supporter propaganda. 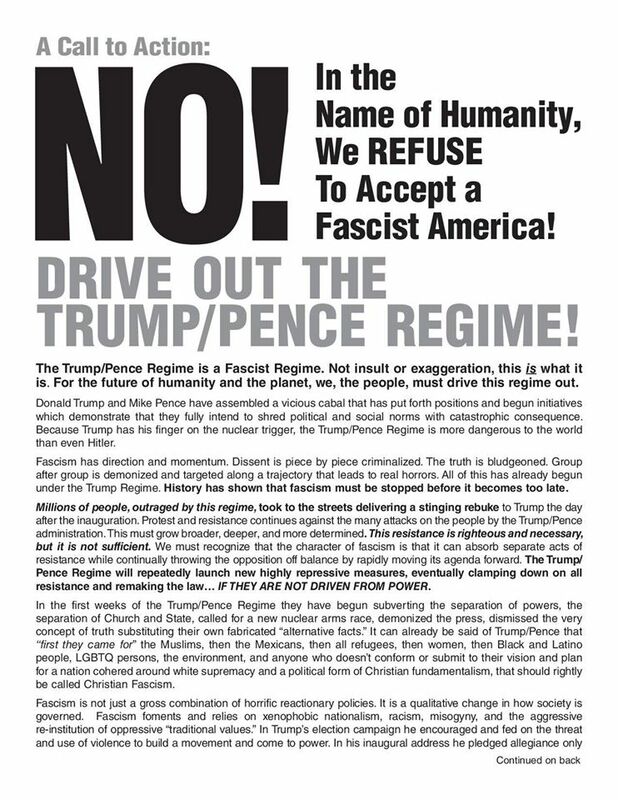 The propaganda came from ‘refuse fascism’, a Soros-backed group. 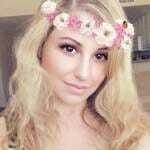 According to a Breitbart report, The Alliance for Global Justice, which is funded by the George Soros-backed Tides Foundation, reportedly donated $50,000 to fund Refuse Fascism, which openly brags about using violence to shut down conservative and libertarian speech. 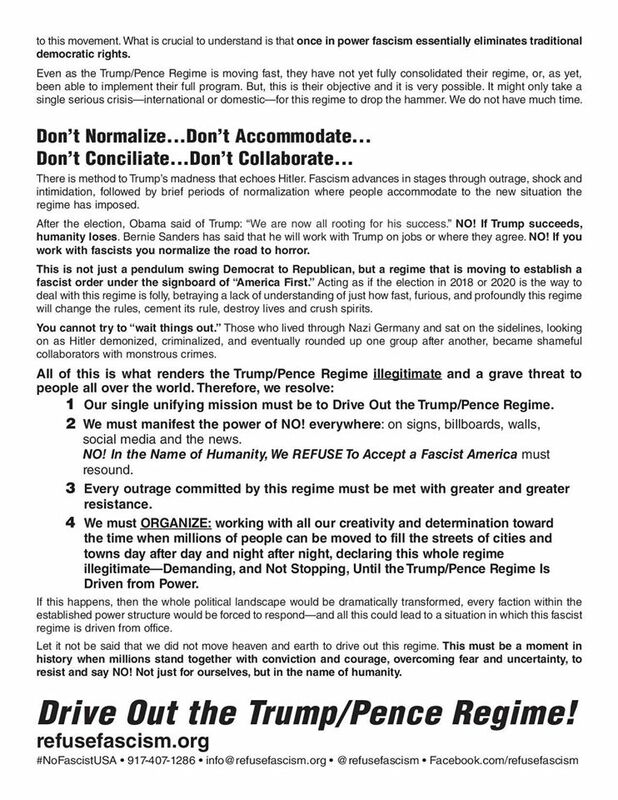 The next page called the Trump/Pence regime ‘illegitimate’ and encouraged people to ‘Drive out the Trump/Pence regime’. And of course brought up Hitler and Nazi Germany AGAIN. Someone should remind this teachers union that Donald Trump won the presidency according to our Constitution in an electoral landslide.